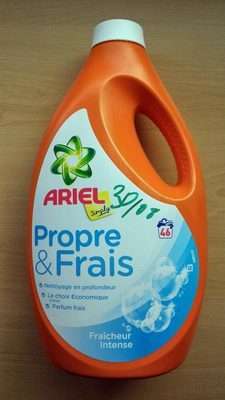 5-15% Agents de surface anioniques (<5% Agents de surface non ioniques), Savon (Enzymes), Benzisothiazolinone, Methylisothiazolinone, Parfums, Benzyl salicylate, Citronellol, Coumarin, Hexyl cinnamal, Linalool. Product added on September 3, 2017 at 11:09:43 AM CEST by hadibou. Last edit of product page on June 22, 2018 at 9:06:04 PM CEST by tacite. Product page also edited by fuginae, openfoodfacts-contributors.